Light a tree, twirl on the ice, enjoy spectacular festive displays and get into the spirit of the season. We’ve got your top tips for holiday jollies in Austin. Trail of Lights. Credit Dear Wesleyann Photography. Experience an Austin icon as you walk through the 1.25-mile light show at Zilker Park&apos;s Trail of Lights, on display December 10–23. 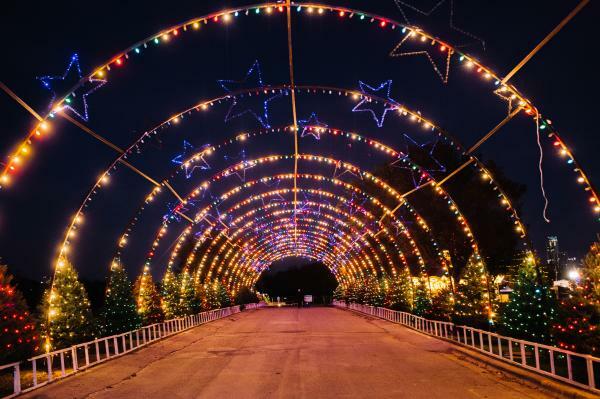 See the lights early in the season and get a great workout in at the Trail of Lights Fun Run on December 3 (Santa costumes encouraged). Make your plans to visit Austin and experience cherished local traditions this winter with the exclusive Austin Trail of Lights and Holiday Shopping Package which includes a wide selection of downtown hotels, a VIP shopping experience at The Domain, Priority Zip admission to the Trail of Lights and access to the hospitality lounge (complete with cookies and cocoa). Mozart’s Coffee Roasters lights up Lake Austin with their annual Holiday Light Show. The free 12-minute show kicks off towards the end of November and plays every hour on the hour starting at 6 p.m.
For those who love to put the tree up early — like at Thanksgiving or even right after Halloween — Austin-area tree farms have your perky pines and evergreens ready to be plucked and put up. Get that freshly cut tree scent swirling with a stop by Elgin Christmas Tree Farm (they open the day after Thanksgiving and also sell fresh-made wreaths), Evergreen Farms (a family operation started by a retired forestry professor) or St. Nick’s Christmas Tree Farm near Fredericksburg, where gourmet hot cocoa, coffee, and tea are enjoyed while you hand-select and cut your perfect pine or cypress. No space for a tree? Gather around more than 3,300 lights beaming from Zilker Park&apos;s 155-foot-tall Holiday Tree. Attend the 50th annual tree-lighting ceremony on November 27. Austin brings a wintertime classic to the masses with public ice skating on the roof of the Whole Foods flagship store, beginning the weekend after Thanksgiving. A mere $10 gets you as many laps as your heart desires, including skate rental. Beginning December 16, head to Holiday Lights & Ice at Omni Barton Creek Resort & Spa and twirl around the 4,000-square-foot rink overlooking the scenic Texas Hill Country. Make a day of it and visit the resort’s 8212 Wine Bar & Grill or book spa treatments at Three Springs Spa. 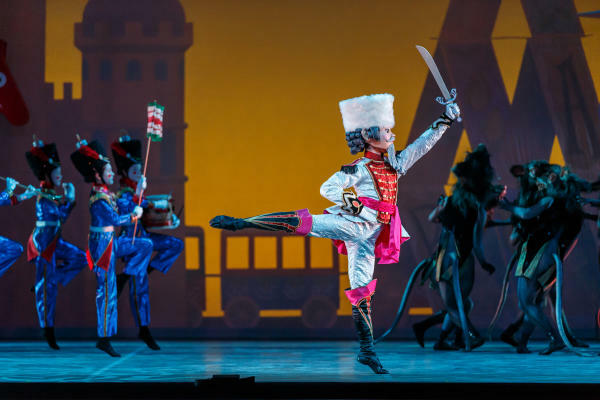 Ballet Austin&apos;s "The Nutcracker." Credit Tony Spielberg. Get your fill of crafty Austin finds at the Blue Genie Art Bazaar, where more than 200 local and regional artists share their wares and a portion of the proceeds go to Make-A-Wish. Join in the holiday fine art shopping festivities with live music, award-winning artists and two full bars at the Armadillo Christmas Bazaar. After all that shopping, skating, and nonstop holiday festivity, fall into your plush, soft-as-silk bed at the Driskill Hotel. The 1886 icon radiates grandeur from its prime perch on Brazos and Sixth Streets. Traditions run deep here and the hotel celebrates the holidays with an annual tree-lighting ceremony (complete with caroling by the Austin Opera) on November 29, holiday-music evenings and afternoon-tea weekends throughout December, and family favorites Cookies for Caring and an Afternoon with Santa on December 11. At the Four Seasons Hotel Austin, holiday traditions include a gingerbread village in the lobby with complimentary hot apple cider and festive cookies, teddy-bear teas for the kiddos, special holiday dining menus and a Christmas Day buffet. Be sure to make time for holiday cocktails in the decorated Lobby Lounge bar. Search all Austin hotels and find your private palace for the holidays. New Year’s Eve in Austin means dancing, fireworks and, obviously, plenty of live music. Local favorites include the family-friendly Austin’s New Year at Auditorium Shores, Willie Nelson & Family taking the stage at Austin City Limits Live at the Moody Theater, Speakeasy’s annual Legendary New Year’s Eve Bash and an Old Fashioned New Year’s Eve Party at the Four Seasons.